Ah, snow is so much fun. 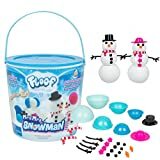 You can pack it into a snowball and pelt your friends, roll it up into a giant snowman, er, shovel it... but unfortunately it always melts away until next winter. 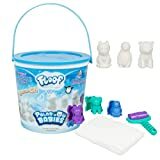 Well, now you can play with snow all year long with this cool new Floof. 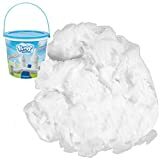 This endlessly reusable super soft and smooth textured indoor snow can be packed / molded into any shape you can think of and will never ever melt. 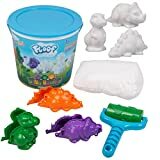 It only sticks to itself, is safe and non-toxic, and comes in buckets with various molds and accessories. 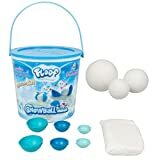 The only downside is that you're going to need a ton of it to go indoor sledding.